Best news of the week arrived Friday afternoon via email. The Cedar Rapids Gazette decided to publish my opinion piece on the local food system at risk. A writer lives for exposure to an audience and my readership will get a boost just by being in print media with daily circulation over 30,000. I will probably run to the convenience store before sunrise to buy a copy as soon as I hit publish. (UPDATE: Here’s the link). This weekend is mostly about apples. It’s Golden Days at the orchard. We have multiple varieties of Golden Delicious and for the most part, that’s what we’ll be picking. There are a lot of them still on the trees. Last night was family night and I spent most of my shift stocking shelves, coolers and freezers in preparation for what we hope is a good Saturday turnout. I laundered my orchard T-shirts last night and am ready to go. It’s the beginning of the end of the u-pick season. It’s time to pick the Red Delicious apples on our backyard tree. 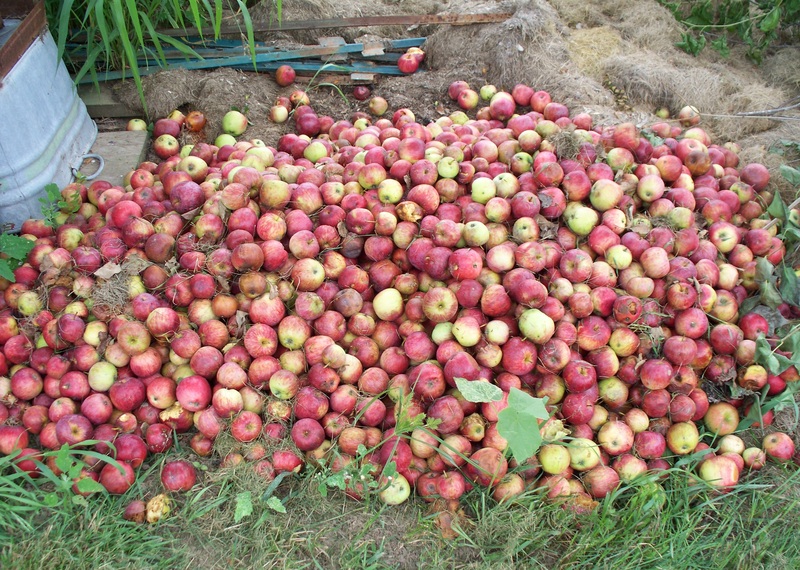 With the record-breaking heat apples are beginning to drop. I’d better not wait any longer. They are sweet enough to eat out of hand and should make great apple sauce. Whatever I’m able to harvest will be a fraction of the potential. We can only eat fresh and process so many. So that’s the plan. 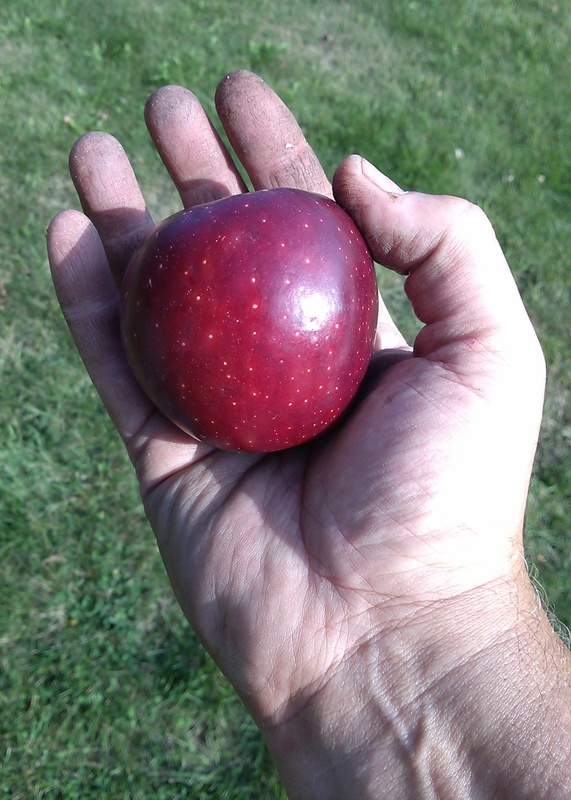 Read and publicize my article in the Gazette and live in Iowa’s apple world. There’s work involved, but it will be a labor of love. This entry was posted in Local Food, Writing and tagged apples, autumn, local food, sustainability, Writing. Bookmark the permalink.